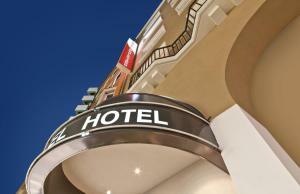 Offering free WiFi, Novum Hotel Boulevard Stuttgart City is located in the city centre. The hotel is just a 10-minute walking distance from the Castle Square. Each of the rooms features a cable TV and a private bathroom with a hairdryer. A fresh breakfast buffet is available each morning, and a large variety of restaurants and bars can be found within a 5-minute walking distance of the Novum Hotel Boulevard Stuttgart City. The Porsche Museum is 7 km from the hotel, and the Old State Gallery of Stuttgart can be reached in 15 minutes using public transport. The Stiftskirche Church is a 10-minute walk away. Stuttgart Stadtmitte S-Bahn train station is 550 metres away.